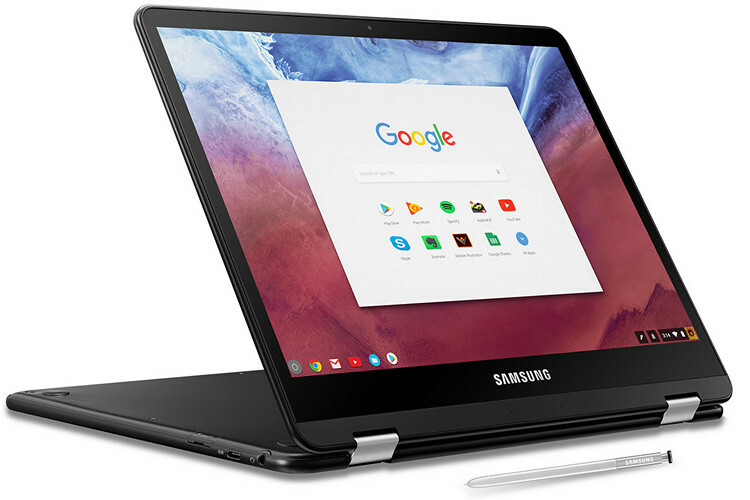 Samsung has apparently updated its Chromebook Pro with a backlit keyboard – the one feature that was holding it back from being the default choice for Chromebook buyers around the world. The device is now listed on the company’s official webstore for $599, and is expected to be available from other online and offline retailers going forward. Apart from the backlit keyboard, the new Chromebook is pretty much identical to the device that was originally announced last year at the CES 2017 trade show in Las Vegas. It is powered by an Intel Core M3 Skylake processor, and comes with 4GB of LPDDR3 RAM and 32GB of eMMC storage. It also features a 12.3-inch display with a pixel resolution of 2400 x 1600, and a brightness of 400 nit. The Chromebook Pro also supports a stylus that ships with the device itself. It will be interesting how Chromebook aficionados react to the upgrade, because in the middle of 2018, it still ships with a Core M3 chip from the Skylake generation that was originally released back in 2016. The company also has a Chromebook Plus model that’s virtually identical to the Chromebook Pro apart from the processor, but that one hasn’t got the backlit keyboard as there’s no mention of it on the official site. Chromebooks have become increasingly more popular over the past few years, and with better Android app integration, they are becoming a lot more robust. In fact, it’s not just Android apps that you can run on these devices, but with apps like CrossOver, you can also run some Windows programs on select Chromebooks these days.